as most people now im a biiiiiiiiiiiig anime fan. and just like last year i make a costume and go to abunai a anime con in netherlands. and this year i wanted to make COMPANION CUBE from portal. so i found some one ho made it and i want to do it just like here but i need some tips where i need to find ONLY THE MATERIALS FOR THE COMPANION CUBE like the foam and stuff idk where to get it. please do remember i live in belgium so dont gimme tips like go to wallmarkt or wutever thanks annyways. The foam can be bought at a hardware store (praxis, formido, gamma) since it often gets used for isolaton. In fact I am 80% sure we have used that in the attic. (spray) Paint can also be bought there and clothes can be found on the market, supply stores and even in some hardware stores (kinda expensive there tho!). Fun fuct: I am planning to go to Abunai myself although this depends on which of my friends are going this year (they are all going to Animecon except for me). 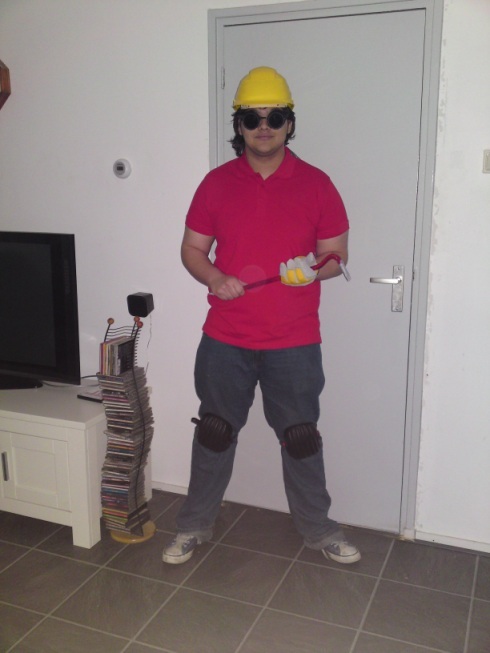 As for a costume I was planning on Gordon Freeman with HEV suit, the Engineer with at least a toolbox, a Cactuar from Final Fantasy or a giant pack of instant noodles (lol). Problem is that I am a perfectionist so unless it looks decent I wont wear it. I was working on porting one of the player models so she could use it on our server, a female anime model with sounds! lol i was on my way of making it work when Valve fucked it all up with their update. So Rosa, how's the costume getting along? I'm going to Abunai for sure, all three days and decided to dress up liek the Engineer. Sgt Pepper wrote: So Rosa, how's the costume getting along? I'm going to Abunai for sure, all three days and decided to dress up liek the Engineer. Eraser, you go off topic a lot I think, try making a topic for just off-topic posts. Anyway, it will be interesting to see what you guys come up with, Pepper, those pics better be good. No. Read the rules please! Note: I was trying to hide my laugh while my cat was doing crazy stuff. -Find an American Overall in the right color/buy a white one and dye it. -Edit and print class logo for shoulders on transfer paper and iron them on. -Find orange extension cord in the attic. Properly not gonna wear boots; I get blisters really fast so unless I wear some shoes that are walked in (read worn every day for a week) my feet will turn into one gigantic blister collection. If however I find some cheap yet comfortable boots to wear I will try them out. should you wait until its like that time ? You are one crazy person, Sgt Pepper. Almost as crazy as me! Nah, costume parties/events are just plain fun. -The engie helmet also looks small on your head, it should maybe be a bit (too) larger -> thats because of my hair, got it cut today and it looks fine now. -Those glasses are too big, go to a 2nd hand military dump store and buy those pilot glasses -> They are fine, cost me €10 and the engi wears this kind.